and How to Keep Them from Sabotaging Your Grants Success! Time: 9:00am to 10:30am Mtn. Ready to shed some outworn, out-of-date, but still shockingly common beliefs and misunderstandings about what it takes to be successful in the grants world today? They're called "invisible beliefs" - those things we think we know, without even thinking about it. Maybe they were true once upon a time ... but many simply aren't true any more. And the problem is, because they're invisible, those beliefs that are no longer true can slow us down - and sabotage our success - without our even realizing what's happening. ... and leave with a ton of brand-new, specific, down-to-earth tools and action steps for making sure these invisible beliefs never sabotage your grants success again. During the webinar you’ll get a sneak preview of GrantsMagic U’s online training program, The Ultimate Grant Proposal Blueprint 2018, set to begin on October 15. 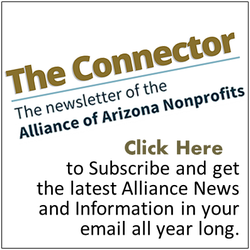 The Alliance of Arizona Nonprofits is proud to partner in this 8-session, 16-hour video-based course that shows you, step by step, how to craft an A+ grant proposal from the inside up. Registration opens the week after this webinar with special discounted pricing for Alliance members. Over her 20+-year career in the nonprofit world, Maryn has been an on-staff program developer and grantwriter; an independent grants consultant; a grants project manager; a grants trainer; a grants reviewer, author, speaker, mentor and coach; and - since 2006 - even a grantmaker. 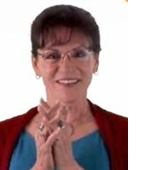 GrantsMagic U, launched in fall 2015, is the "virtual academy" she created to make her extensive portfolio of practical and inspiring trainings on successful grantsmanship available (and affordable!) for anyone, anytime, anywhere.